Are Unai Emery's Arsenal now Premier League title contenders? Ten wins in a row tells a tale. Arsenal are back and who can blame these supporters for being excited? The Premier League's perennial crisis club had been in stasis - some would call it civil war - for years. Now they are emboldened by a renewed sense of purpose. Something is stirring at Arsenal after their best start in half a decade. The transition to life under Unai Emery was never going to be flawless but it has been pretty. Arsenal looked vulnerable for much of the match against Leicester - particularly in a first half in which they were fortunate to leave the field level. But the beauty was there for all to see after the break as Mesut Ozil and the rest played their opponents off the park. If there is to be a title race this season then the consensus is that Liverpool are the team to provide Manchester City with a worthy opponent. Chelsea are unbeaten and have forced their name into the equation. And yet, Arsenal are right there too - level on points with their London rivals and above Tottenham on goal difference. They are the competition's form team. Are Arsenal contenders? Watch the last half an hour against Leicester and nobody could argue. Watch the first 30 minutes and that optimism feels misplaced. Kelechi Iheanacho had a chance inside two minutes, Rob Holding was fortunate not to concede a penalty and Harry Maguire forced a fine save from Bernd Leno. That was all before Hector Bellerin's own goal. Arsenal's defensive numbers compared to what perhaps should now be called their title rivals serve to hammer home the point. The top three in the Premier League table are also the top three when it comes to restricting shots from their opponents - in the same order. In contrast, only four teams have allowed more shots from their opponents than Arsenal. Many have been clear-cut chances as well. Watford had six of them - only City have had more in a game this season - but they still lost. "I thought they were fortunate against Everton as well," Jamie Carragher told Monday Night Football. "They have been giving big chances up. What they are probably doing is playing out of their skin in both boxes." That comment reflects the fact that Arsenal have been outperforming the underlying numbers offensively too. While the rest of the top five lead the list for shots, the Gunners are down in 10th. Half the teams in the Premier League have had more clear-cut chances. The key to their success has been their remarkable conversion rate in front of goal. Take out the blocked shots and penalties and Arsenal have converted 23.7 per cent of their efforts on goal. That is better than any other team in the league and by some distance. "That is the reason why Arsenal are winning games," said Carragher. "Can that continue throughout the season? I would be pretty sceptical because those are pretty high numbers." 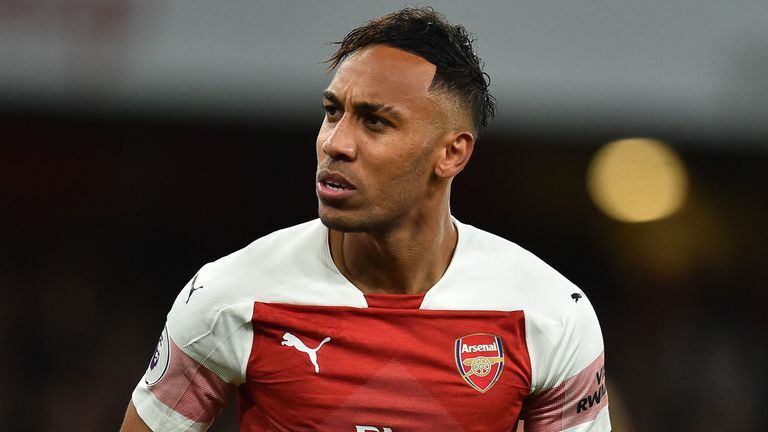 Pierre-Emerick Aubameyang's conversion rate since joining Arsenal is up above 40 per cent and he scored with both of his shots against Leicester. Alexandre Lacazette's rate isn't far behind. "What they are doing is off the scale," added Carragher. "That will come down and eventually affect the results because you cannot continue to score goals at that rate." History would suggest that is true of those individuals and this team. No other team is converting 20 per cent of their chances this season. No other team converted 20 per cent of their chances last season either. Arsenal will not do that over a full campaign. But they will not need to do that to delight their fans - Emery's revolution is well ahead of schedule. This is a team that has not qualified for the Champions League in either of the past two seasons and they have lost Alexis Sanchez and other key players in that time too. Arsenal's chances look rather better now and Emery deserves huge credit for not only guiding the club into this new era but picking up the wins along the way. He is fixing Arsenal on the fly. "There is still a lot of work to do," former Arsenal hero Alan Smith told Sky Sports before the game. 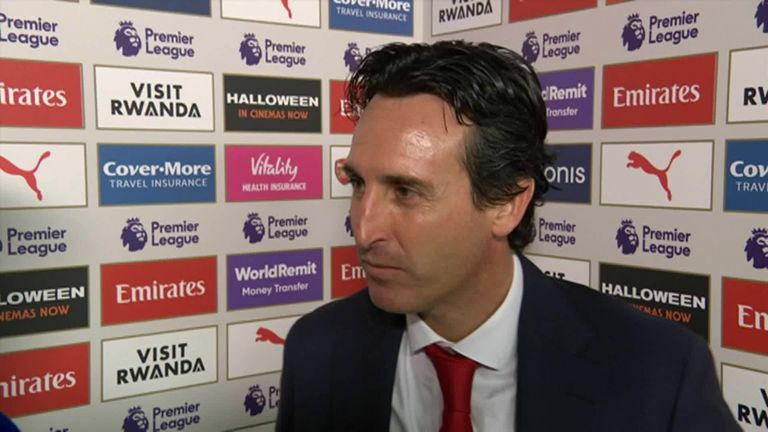 "When you think that one manager has been here for 22 years and the culture that is ingrained, it takes a lot of time to change that and get it into the image of Unai Emery. It is a slowly but surely thing and if you can win games along the way all the better." Emery himself put it best. "When we lost the first two matches against Manchester City and Chelsea, we were calm," he said after beating Fulham. "When we are winning now, I think we need to be in the same way in our mentality. We are going up in the table little by little, giving us a better position for our objective. We need to continue to improve and we can." Arsenal have their perfect 10 - their best run of victories in more than a decade. And while the performances have been far from perfect they have been full of promise too. Good in both boxes? The supporters will settle for that. Improbably, Emery's team are only two points off the top of the table. Win at Crystal Palace on Sunday and they will go above Manchester City. Arsenal fans are enjoying their team again.